Every new year, we all start with some sort of resolutions / promises/ agreements – call them what you may, the premise is the same; it’s to do everything possible to transform ourselves into the best version of us. And how do we do that? Get a better job by learning new skills and making new connections. Increase fitness levels by learning to eat and exercise well. Become financially stable by learning to spend wise and save smart. Qualify for that elusive marathon by learning to run efficiently, by training our functional muscles. We become happier people by learning to accept what we cannot change and challenge what we can change. So, give yourself the gift of learning in 2019 and follow some of these quick tips to get a head-start today. Enhance your resume with credentials – In a rapidly shifting job market, being able to formalize skills is a requirement for job seekers and employers going forward. Open Badges is a data specification that enable the proper documentation and demonstration of those skills. Develop hard skills to prepare for most in-demand jobs – We don’t know what the future holds. So how do we prepare for jobs we don’t even know exist yet? 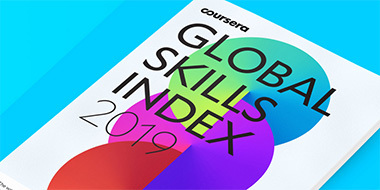 You do that by building core skills that are applicable to jobs in the area of data analysis, customer support, health care and more as per the WEF report. Make learning fun – Agile is changing how teams work, focusing on more collaboration, inclusiveness, and cross-functional teams. People are learning new skills on the job, and applying them on an ongoing basis at an accelerated pace. Which means we all need to embrace the concept of lifelong learning, we will never be done. So, enjoy the newness of each challenge and the opportunities they present…and if you’re stuck, maybe some of these ideas will help?